As a well dressed man, you know that not every formal occasion calls for a tuxedo. Rely on our poly/rayon, slim fit, suit sets to complement your confidence, fashion style, and individuality-all while being exceptionally comfortable. Order by your chest measurement. 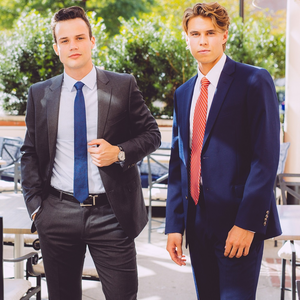 Suits are sold as a set. Pant size is a 6 inch drop from the coat size.